Build a cohesive team both in and out of the workplace with Clip ‘n Climb Newcastle's exciting climbing challenges! 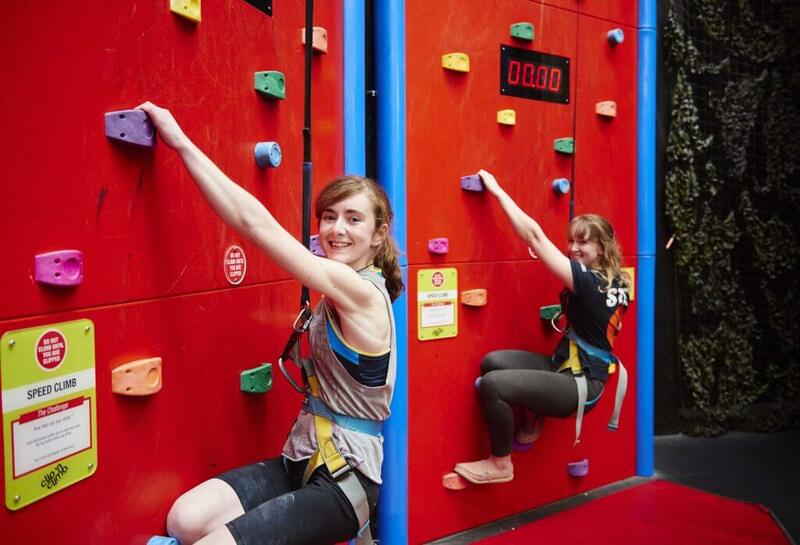 Taking your team to Clip ‘n Climb Newcastle will give them a fun and action packed session which promotes trust, encourages staff interaction and gives the whole group something that they will remember and talk about for weeks to follow. The great thing is that with so many different indoor climbing challenges, everyone can choose their own level of involvement. The super sporty can climb alongside the nervous beginner and share the experience, each pushing themselves at their own pace. Of course, if you already have a competitive and active team, why not turn your session into a competition? Crank up the pressure and compete for points and find out just who is the top Clip ‘n Climber!